Data analytics is among today’s fastest-growing and highest-paid professions. As organizations increasingly rely on data to drive strategic business decisions, the market demand for individuals possessing advanced education in the field is at an all-time high. 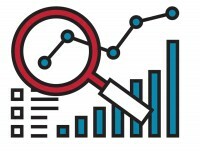 The Data Analytics Advanced Certificate program is open to anyone with a bachelor's degree and at least one college level statistics course. The opportunity to work with cutting-edge software and analytics tools will prepare you to make sound, evidence-based decisions that drive business performance in any function. Our faculty aren't just academic leaders in the field—they have first-hand experience with data and analytics, coming to Siena from diverse industries such as manufacturing, marketing and sales, research and development, and financial services. 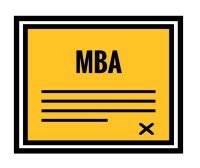 Students who successfully complete all four courses in this certificate program receive an advanced Data Analytics Certificate from Siena College's AACSB accredited School of Business. Our program is designed to fit the needs of every student. Classes will be held in the early evenings and on weekends. Access to the same technology used by Fortune 500 companies and other top organizations including a stock trading room with Bloomberg terminals and a research lab. The sheer amount of data is so large that being able to mine the right data for a business is a skill itself. Knowing that, you could save your employer time, resources and money. Data is used to make decisions on advertising, hiring, marketing, pricing, product development and so much more. It can change the way a company operates, how a not-for-profit stands the test of time or how the world thinks about big issues like hunger or poverty. The applications are endless. Nearly 70% of CFOs surveyed rank data-based insights as the top influence on strategic business decisions. It's no wonder why IBM predicts that by 2020 the number of jobs for all U.S. data professionals will increase to 2,720,000.